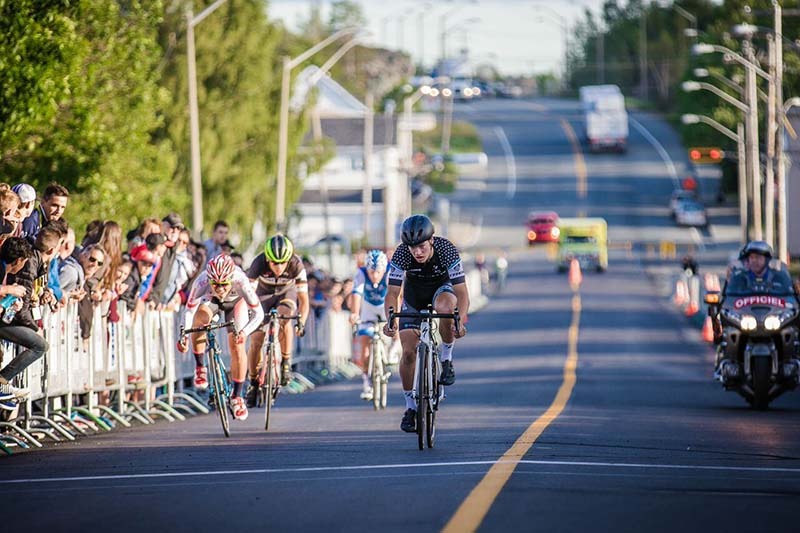 The 48th edition of the Tour de l'Abitibi begins today (Tuesday), but on Monday night the 25 teams participating were presented to the citizens of the host town of Rouyn-Noranda. 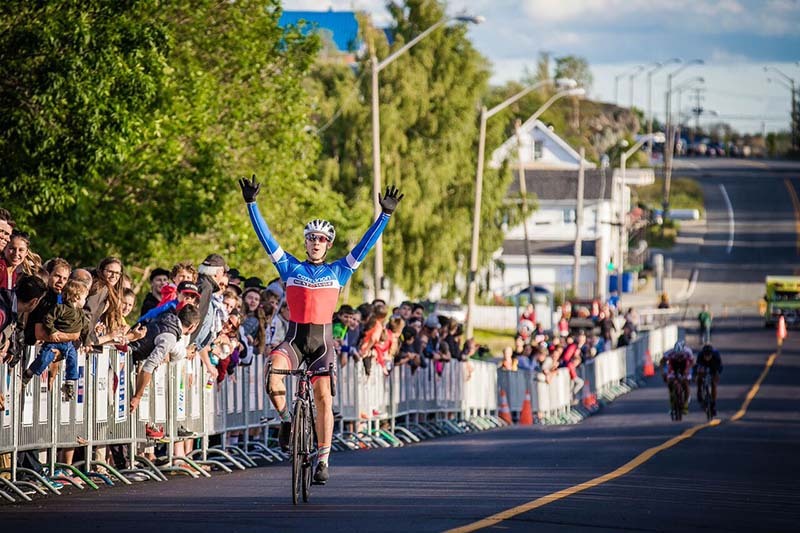 People from all over the region came to encourage the riders, not only the regional IAMGOLD team, but also the racers of the Abitibi region selected to be on the Québec and Canada teams. 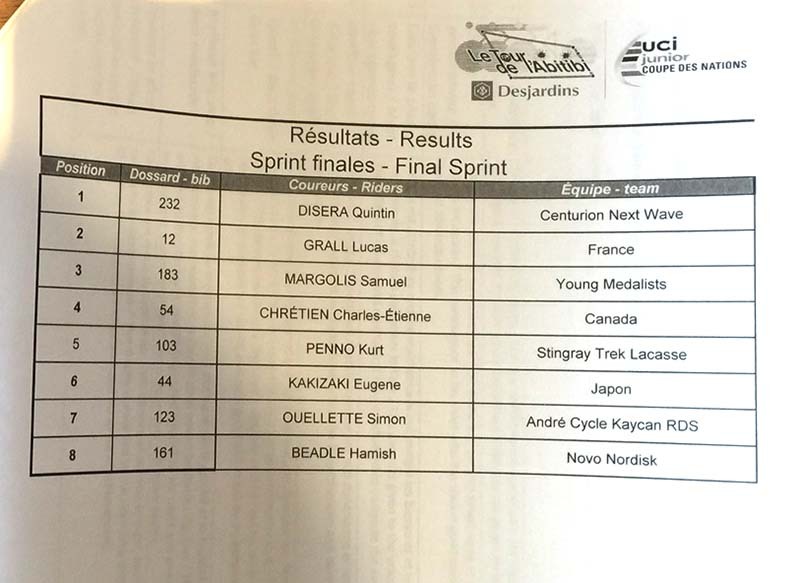 The best sprinters of each team then provided a show in the Challenge Sprint Abitibi, with Ontario mountain biker Quinton Disera (Centurion Next Wave), fresh off a silver medal at the Nationals, winning the race thanks to a surprise attack in the final round. Abitibi racer Charles-Étienne Chrétien of Team Canada finished the race in fourth place. According to Bruno Gauthier, technical director of the Tour de l'Abitibi, "we'll have to see if certain teams have cards up their sleeves; tomorrow's first stage will be the first test. Certain teams, such as Japan or the United States could surprise us tomorrow. We will also have to keep an eye on Team France this week as their sprinter, Lucas Grall, finished the Challenge in second place."